Elaine Hancock (Olney, United States) on 24 June 2014 in Landscape & Rural. A view of the farm house from the barn. Très très belle maison bien entourée de végétaiton sueprbe. I totally agree with Ainsley ! Beautiful view, lovely house in the middle of the vegetation. Beautiful composition with the farm, landscape and people . great compo and a great Location. 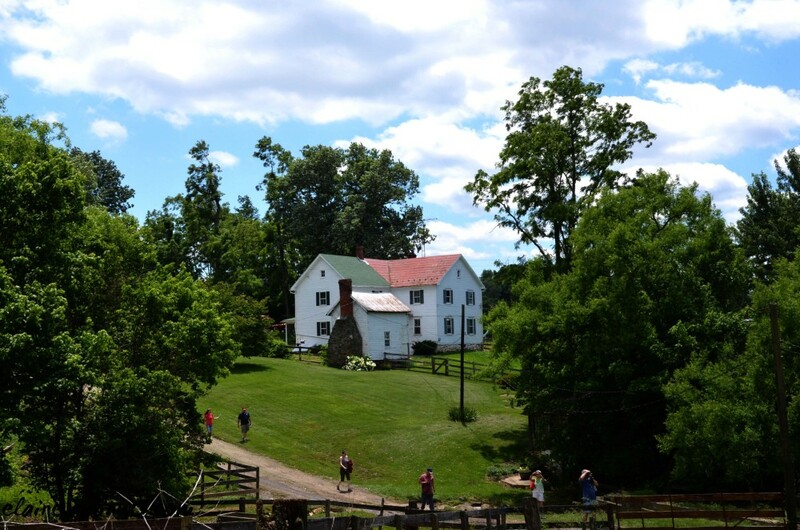 Wonderful capture of the farm house ! Nice colors and light. I like the peaceful and calm mood. belle composition et superbe ferme. A fine picture of this farm house in this great looking setting. Very good shot. Great place, nice find . Happy ST ! Very lovely farm house in the greens, like it. Très belle composition et superbe vue ! Beautiful composition and great view! Very nice country setting with the farm house surrounded by the mature trees ~ great view! excellent view, elaine on this beautiful farm house!! jolie vue ! j'aime les différentes teintes des toits !! An excellent framing of this farm house as it's surrounded by the landscape!! wow That is a beautiful composition Elaine !! A perfect frame !! !